Zoom imageRMS St Helena at anchor of Jamestown St Helena St Helena, one of the Countries we featured and linked up with during our Commonwealth Celebration event last year has been featured in a BBC Documentary. 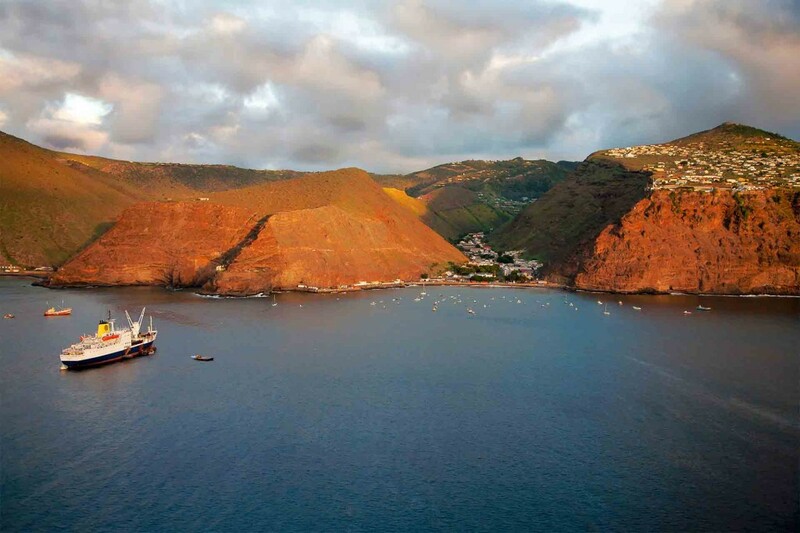 The documentary entitled "St helena: An End to Isolation" follows a small number of islanders and explores their feelings, hopes and fears for the new airport currently in the final stages of construction. In many ways there are parallels to the arrival of the oil industry in Shetland, although this change could have even more significant effects on the St helena community. At present the island can just be reached by Ship from either South Africa or Ascension island. The ship the RMS St Helena is one of the last Royal Mail ships in existance. It also make occasional trips out to the even more remote Tristan da Cunha, where Ian Anderson from Cullivoe in Yell was radio operator for a while. 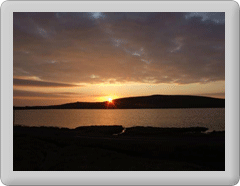 However if you fancy a trip a bit nearer to home we would be delighted to see you in Fetlar !